After they met for the first time in 1960, the founder of “The Word Publications,” Apostolos David Mamalis, became increasingly aware of the Scriptural and prophetic importance of Brother Branham’s Ministry and so began to actively seek out and accumulate a significant reel-to-reel magnetic tape library of William Branham's sermons, both to preserve them for posterity and to share them with others. Many of the sermons he found were the only originals that are known to have existed and had it not been for his diligence, they most likely would not be available to us today. 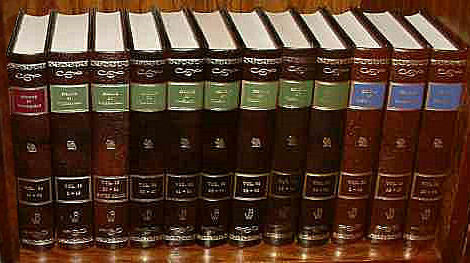 To aid in the study of the sermon content, Brother Mamalis developed, published and in 1969, filed copyright for his "Index and Classification of Sermons by Rev. W.M. Branham” (US copyright A59483), including in it a declaration that the sermons were in the "public domain,” i.e., “belonging to the people.” The original classification system arranged the sermons in the order in which they had been preached and the purpose of the copyright and its 1981 revision was to preserve the design of the indexes and other supporting reference materials intended to facilitate the study of the Last Days' Message. No claim of copyright was or could be made over the sermon text, because it was in the public domain. From the humble beginnings described above, Brother Mamalis began to make copies of the sermon recordings available to anyone who was interested. Four years later (1973), he established "Information And Media Consultants," a company that went on to provide many people with sermon tape libraries. 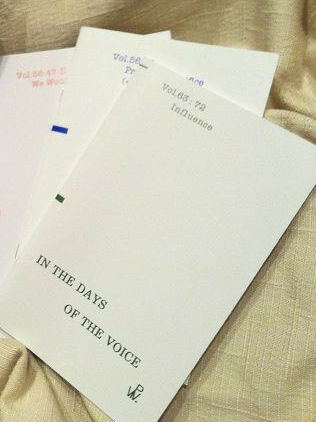 By 1983, Brother Mamalis’ desire to share the sermon content had extended to making the text available in printed form. “The Word Publications” was formed as the channel through which to achieve this goal and working backwards from 1965, Brother Branham’s sermons were progressively transcribed, carefully proofread, and references added to identify any Scriptures that Brother Branham had referred to. They were then published in hard copy both individually and also collectively in leather bound volumes, where each of the latter contained the sermons that had been preached in a particular calendar year of William Branham’s Ministry. Phoenix, Arizona. Founder of "The Word Publications"
The Mamalis family home was at the foot of the Acropolis in Athens from where David would walk across Mars' Hill each day to attend school. 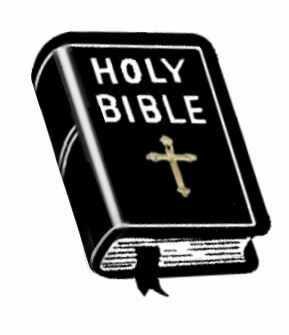 Although brought up in a practicing Christian family that revered the Bible as the Word of God, David Mamalis was not converted until 1949 when in his 19th year. God had begun to move upon his life to make him increasingly aware that he did not have the experience with God that his father possessed. In due time, the day came when in desperation, David locked himself in his father’s Church and placing a chair in the aisle, he knelt down and cried out, "If there is a God somewhere, I want to know it!" God wondrously answered his cry and David left the Church that day with the great question as to where he would spend eternity settled forever in his heart. Brother David continued his college education in Switzerland and during that time, it is noteworthy the Brothers of the Church he attended prophesied that the Lord had a definite work for him to do. In 1955, and just as his father had done many years before, David Mamalis emigrated to the USA to further his studies. In like manner he also attended the Southern California Bible College and graduated with a degree in theology, before becoming an independent, ordained minister. It was during this time that he met his future wife Pauline (Pollie), who would later so willingly and actively share his burden to transcribe and make the Last Day’s Message as widely available as the Lord enabled. After their marriage in 1959, Brother David attended San Francisco State University to advance his education. David Mamalis first heard of the Ministry of William Branham very early in the 1960's and being a scholar of Greek language and literature, he was quickly struck by the realization that despite Brother Branham's limited education, poor grammar and complete lack of knowledge of the Greek language (the language in which the New Testament had first been written and into which the Old Testament had been authoritatively translated in the Third and Second Centuries before Christ), his interpretation of the Scriptures nonetheless matched the words and meanings of the original Greek text to perfection. Brother Branham led the way back to his hotel where the two men fellowshipped together, discussing and sharing aspects of the Word of God that were dear to them both. “He was ... separated himself from the things of the world, and he was living for God. Don’t forget that, David." As they got to know each other more, Brother Branham would often turn to Brother Mamalis for clarification of the meanings of various Greek words found in the Bible text and in turn Brother David appreciated the times that he got to spend with the prophet, more especially counting it an honor to be asked to advise him in the use of Greek words and their meanings. “And I've been so thankful. There's a Greek scholar setting behind me, and I was with him the other day. The man is from Greece. His father is a noted minister in Greece, and he takes my tapes. And he said, "Brother Branham, I thought you were a Greek scholar." I said, "I don't even know good English, let alone one word of Greek." He said, "But bringing your nouns, pronouns, and everything in your teaching on your tapes," said, "I can put a line like this and it divides it perfectly and hits right in with the Greek." “I just learned from a little Greek scholar, setting here looking at me now, come over from Greece, a scholar in Greek, and he begin to play my tapes and he watched the message. Said, "I know that you haven't even got an education, but, Brother Branham, your words and your Message run perfect with the Greek interpretation of the Bible." Said, "It's exactly right. What you said is exactly right." In April 1965, Brother Mamalis attended the notable service in Los Angeles, California where Brother Branham preached the sermon that he entitled “Choosing of a Bride” and afterwards, Brother David felt definitely led to leave Los Angeles and move to Arizona. There he attended Arizona State University, studying Law and Library Science. He went on to Denver University to complete a Master’s Degree in Library Science and in the process became very conversant with copyright law. It is now evident that the hand of the Lord had been upon him from an early age to influence the direction that his education was to take so as to equip him with the necessary knowledge to faithfully transcribe, classify, print and distribute what he referred to with respect and understanding as, "The Last Days' Message." Brother Mamalis faithfully cared for his congregation at the independent “Phoenix Christian Fellowship” for over thirty years. At the same time, he pursued a successful academic career as Professor of Library Science at the Arizona State University, one of the larger universities in the USA, where he taught graduate and post graduate classes. Although always mindful and respectful of other people's opinions, Brother Mamalis never allowed his Ministry to be affected by wayward, unscriptural doctrines. He knew full well that the Bible was God's final authority for mankind and that just as the validity of Messages brought by the Hebrew prophets to the peoples of their times had to be judged by the words of their predecessors, so too he insisted that if we consider Brother Branham to be a Prophet of the Lord, then we must also qualify our interpretations of his Message by the Scriptures in order to properly place and understand the truth of what he has said. Brother Mamalis was a gifted teacher who nonetheless, always emphasized the simplicity and vital importance of Godly repentance, the Blood of Jesus, the Cross and the Baptism of the Holy Spirit. His greatest joy was to help others find salvation through repentance and faith in Christ’s atoning work, knowing that true repentance leads to eternal life and a personal relationship with the Lord Jesus Christ. 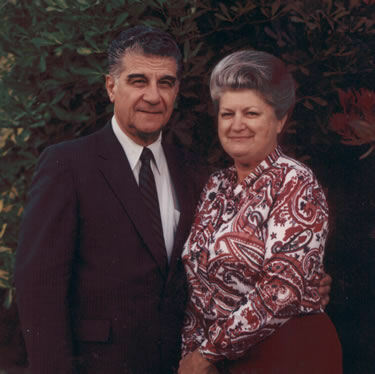 After a life of service to others, Brother David was called home to be with the Lord in 2005 and his independent transcription of Brother Branham’s sermons has since been completed by a dedicated team and consecrated team under the very capable and watchful eye of his widow, Sister Pollie Mamalis who continues to support and guide the work. A broad selection of Brother David Mamalis' recorded sermons and Bible teaching series are available for free download from here. The Word Publications continue to provide professionally printed and published English language transcriptions of all of Brother Branham's sermons from their offices in Phoenix Arizona, USA. Their mailing list now extends to many countries around the globe. David Mamalis dedicated much of his life to transcribing the sermons of William Branham, and where the content required, providing references to the Bible verses above each paragraph in which they were referred to. It is these sermon transcriptions, along with the Scripture references, that can now be searched via The Word Publications Search Package that we are pleased to make freely available for download. Long before Apostolos David Mamalis was born, his father, Charalambos (Harry) Mamalis, left Greece to undertake theological training in California, USA and as a result of this, he was on hand to experience the great outpouring of the Holy Ghost at the Apostolic Faith Mission, Azusa Street, Los Angles that began in April 1906. He witnessed alcoholics being so convicted of their state before God that it appeared that they were being dragged by their coats across the road and into the meeting to be saved. He himself was powerfully struck by the power of God and remained unconscious under It's influence for several days. The effect on his life was both profound and lasting. 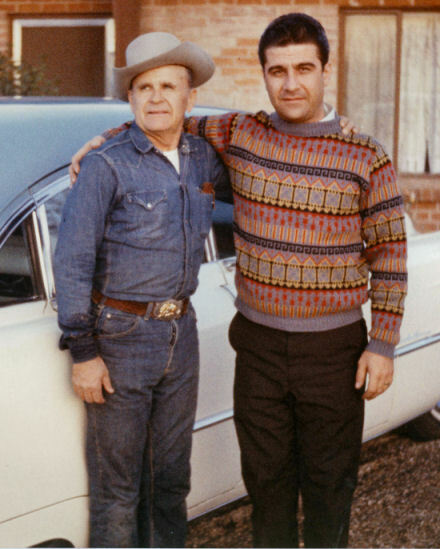 Brother Charalambos later attended the Southern California Bible College, an Assemblies of God faculty, and eventually returned to his home country to settle in 1930. Although a mild mannered man, he found himself greatly moved upon by the Lord to tell his countrymen that God still saves and fills believers with the Holy Ghost in the same way that He had first done in Jerusalem on the Day of Pentecost some 1900 years earlier: this was the good news that the apostles Paul and Silas, together with Titus and Timothy had brought to Greece around AD 50 (Acts 16–18; 1 & 2 Corinthians, particularly 2 Corinthians 7:5-6; Titus 1:5), when they preached the Gospel of Christ to the people of Greece for the first time. Just as the Lord confirmed their words with signs, miracles and wonders, so too miracles attended Brother Charalambos' preaching as he travelled throughout the country and went on to establish the first thirteen Assemblies of God Churches in Greece. 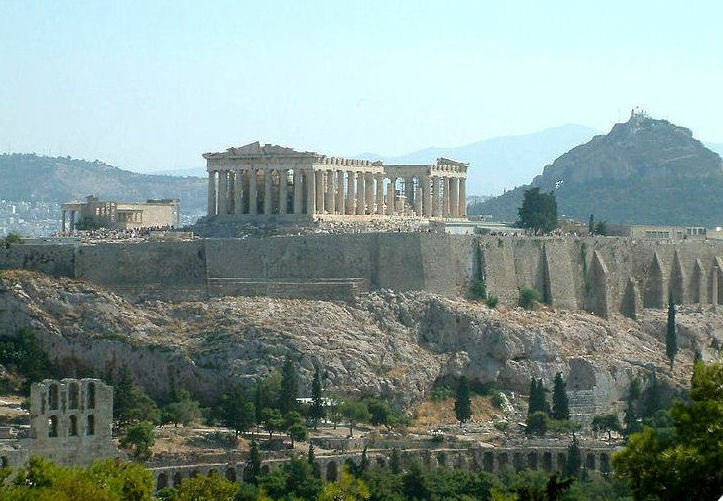 He eventually settled in Athens, where he would marry and become the Pastor of the city's largest Pentecostal Church located on Aiolou Street. Charalambos Mamalis and his wife, whom we know of only as Georgiana, were blessed with their first child in 1930: a son that they named Apostolos Mamalis. This same Apostolos Mamalis was to later adopt the name "David" when he reached adulthood and emigrated to the USA. As the years unfolded and as his Church grew, Brother Charalambos was frequently subjected to the false accusation that he was proselytizing new attendees. He was tried and convicted by State authorities for this so called "crime" on a number of occasions and served frequent terms of imprisonment as a result. He and his wife eventually emigrated to the USA where they lived out the remainder of their days.